Every organization aspires to be successful and grow over time. You start a business or join a company for the sheer purpose of seeing its growth. However, the only way of knowing whether the business process you are employing is good enough is to keep tabs on each and every step and analyze, get feedback and suggest changes to improve. Only then a business will be able to run at its full capacity and grow eventually. If you keep on doing the same stuff, without fully realizing your capacity, your in for a disaster. This is exactly the aim of process documentation- to keep track of an ongoing process for the purpose of improving upon it in the future. forms etc are a part of process documentation. It is used as a guide to help employees, manager, and other stakeholders understand how a particular process is carried out and how it can be improved. Why Document Processes in the First Place? Documentation acts as a “syllabus” for new hires and gets them up to speed with their new roles. This saves a significant amount of time for managers who would otherwise need to explain detailed processes to new hires. By making a note of each and every step, everyone in the team knows how a particular process is carried out. So when a “high profile” or a critical employee leave, he/she doesn’t take the process knowledge with them. Process documentation makes it easier for management teams to analyze and compare previous versions of a process with new ones and calculate efficiency, reduced costs, and analyze other important metrics. Now that you are familiar with the advantages of documenting your business processes, let us explore some awesome tools out there which can help you document your processes in no time. Bit.ai is a new-age documentation and knowledge management tool that helps teams to collaborate, share, track, and manage all company knowledge in one place. Bit documents, unlike your standard Word Docs, are interactive. Which means users can easily add rich media like audio, videos, PDFs, SlideShare, Google Docs, etc. to a document with a single click! 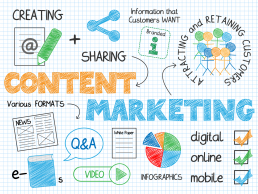 Whether your team is creating process documentation, technical specs sheet, training manuals, best practices, client support material, etc, they can easily add any rich media content to a document. It’s a smart way to add context to the documentation you are sharing. Multiple people can simultaneously collaborate on a Bit smart document in real-time. It’s a great way for employees to handle different aspects of a process together under a single roof. Bit’s sleek, minimal and distraction free editor makes a great tool for documentation. Bit allows users to manage permissions and information access that suits your organizational needs. It supports features like document tracking, password protection, etc. Pellio is a process documentation tool that makes it easy for anyone to document a process in 3 easy steps. Users can make use of Pellio’s rich text editor to add images, videos, file attachments, and even HTML to any step in your business processes. Pellio’s easy to use dashboard provides a clear picture to each employee by giving them their own personalized dashboards. Employees get all their preset tasks in the personalized dashboard and complete these tasks step-by-step, using forms. This allows team members to work seamlessly and know what to do, how to do it, and in what order. Pellio allows managers to create departments, add/remove users and set permissions, giving them a central view of all the employee tasks and real-time progress. Pellio even generates detailed reports to see which processes can be improved so that users can refine these processes to improve the company’s efficiency. Atlassian Confluence is a collaboration and process documentation management software that allows your team to create, share, edit and store process documentation from one dashboard. Apart from creating process roadmaps, team members can content such as PDFs, docs, images, track every version and changes made to a page, and connect to Jira to provide insight into their development work with automatic linking, quick issue creation, and reports. Team members can also leave feedback on documentations with inline, file and page comments, without getting lost in your email threads or chat messages. Confluence users even evaluate your process timelines and progress by generating automatic reports. Users can assign and distribute tasks, track each project with full visibility, and get real-time reports to improve your process efficiency. Users can even enhance Confluence, by integrating it with thousands of add-ons including Hipchat, Zephyr, Bitbucket, and many others. If your team loves visual representation of processes rather than written text, Lucidchart might just be the tool for you. Lucidchart is a collaborative diagramming solution for your entire organization. It provides an intuitive user interface and easy to use cloud service for anyone in the organization to create diagrams and mockups of every step of a process. Lucidcharts easy drag and drop builder allows anyone in the organization, with no prior design experience, create simple flowcharts, complex technical diagrams, and everything in between to communicate with clarity. Users can even connect live data to your diagrams or import data to automatically build org charts, ERDs, and other visuals. Lucidchart works best with teams as it allows users to collaborate with their peers on any device across the platforms you already use, chat with teammates, or leave a comment or feedback directly inside a document. Organize Your Business, Improve Your Productivity And Achieve Superior Results! Stepshot wants to be the easiest way to get your process documentation done fast while making it look professional. With custom templates, free training, and dedicated support, writing a user manual or creating process documentation is no longer a pain. Stepshot is a full-fledged documentation tool that can be used to train employees, share knowledge, delegate tasks, create knowledge base articles, deliver documentation for clients, and much more. A great feature of Stepshot that separates it’s from its competitors is the ability to recognize a text from an image and insert it wherever you want in your document! On top of that, documentation created using Stepshot can easily be converted into a Word document, PDF, HTML, images, and even video! Upcoming features include the ability to store all of your content on the cloud, giving you the ability to share your guides online and embed your content directly into your support knowledge base. All in all, Stepshot is a well-rounded process documentation tool if you want to repurpose your documentation as images, videos, and more and share it with anyone online. Process documentation helps preserve process knowledge and makes sure that knowledge is not lost when a key employee leaves. Documentation also aids new employees in understanding their role and place in the value chain and reduces the ambiguity of operations. At last, it provides a roadmap to project team to make changes to a process, locate faults and shortcomings, and determine ways to do things better. 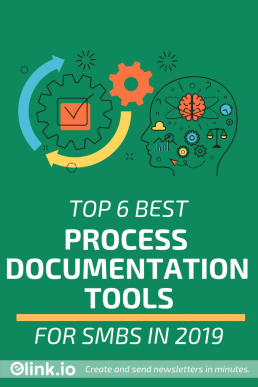 We hope that these process documentation tools can help you carry out your work more efficiently, enabling you to make faster and better business decisions in the future!